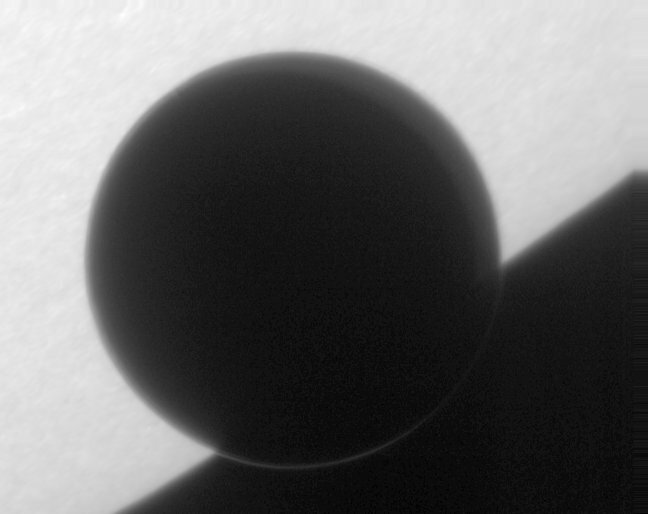 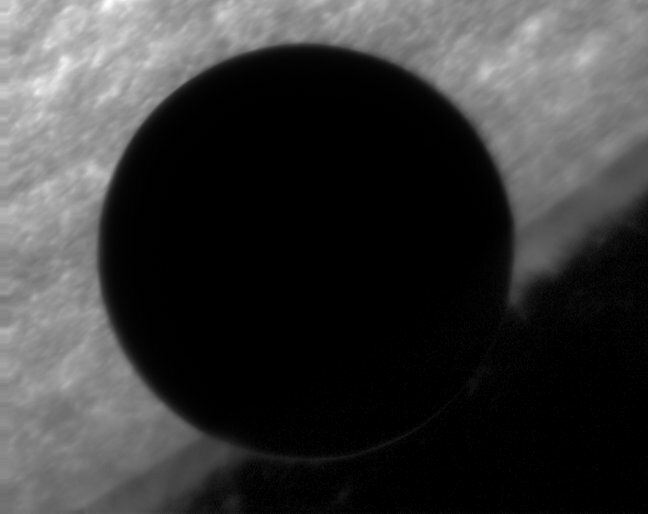 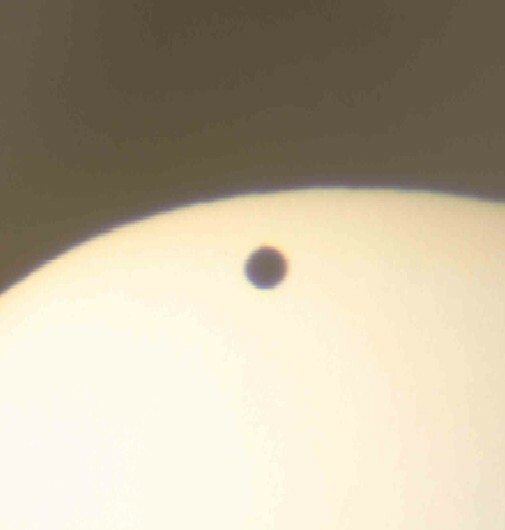 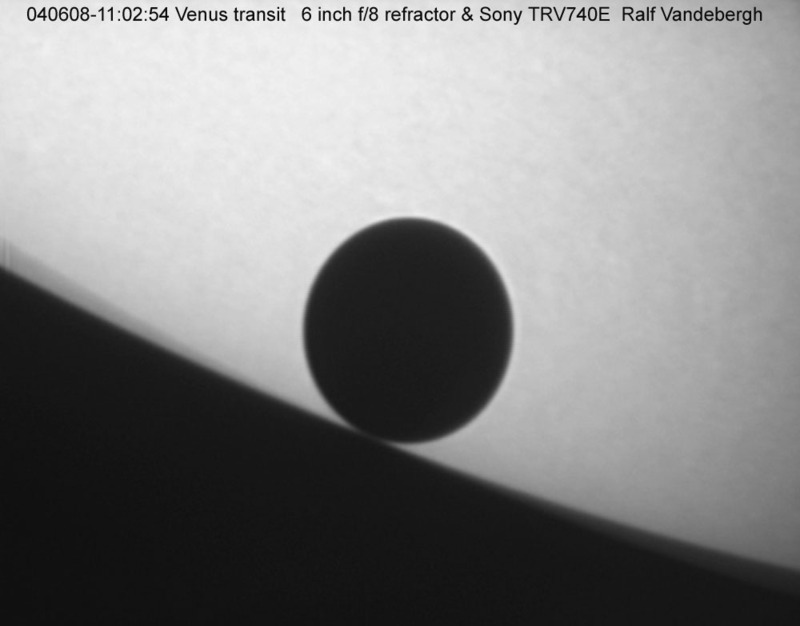 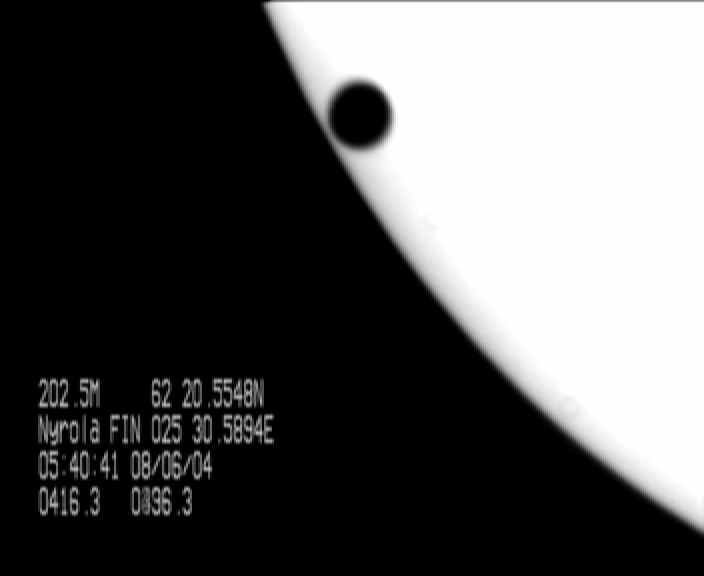 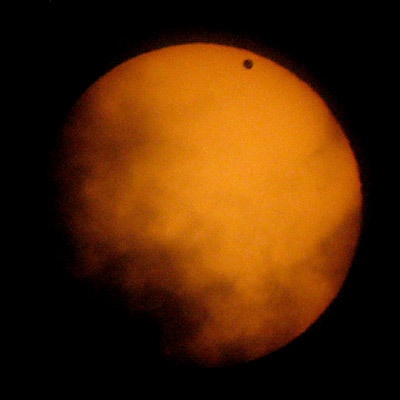 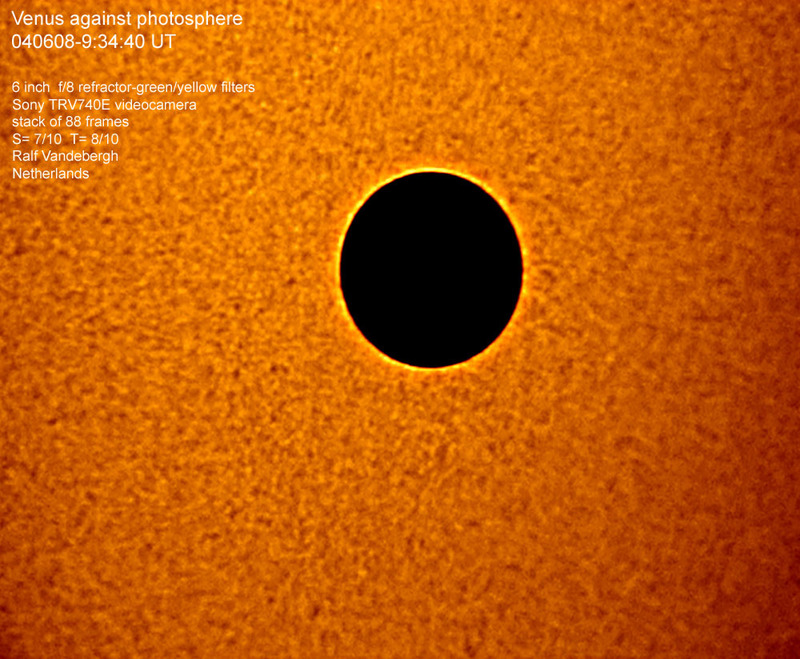 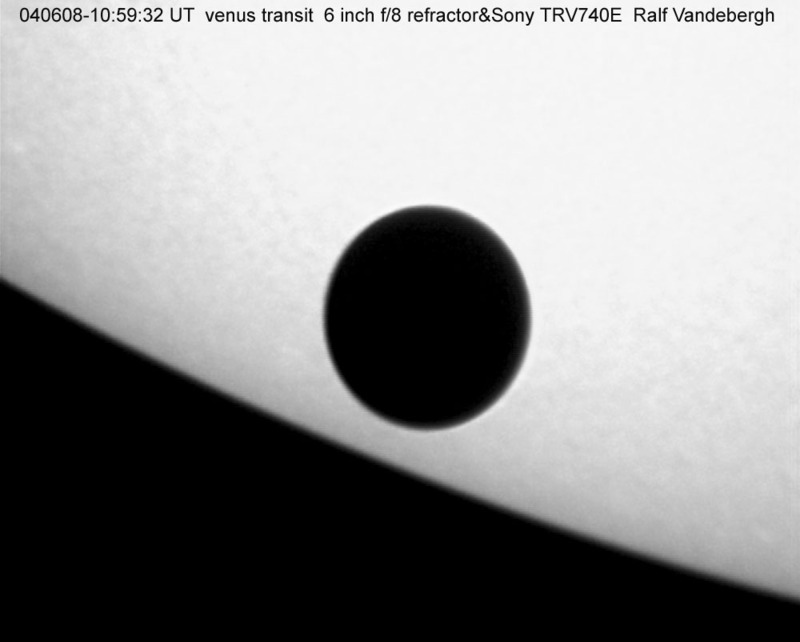 [Venus' atmosphere is visible as a bright, circular band outside the solar disc. 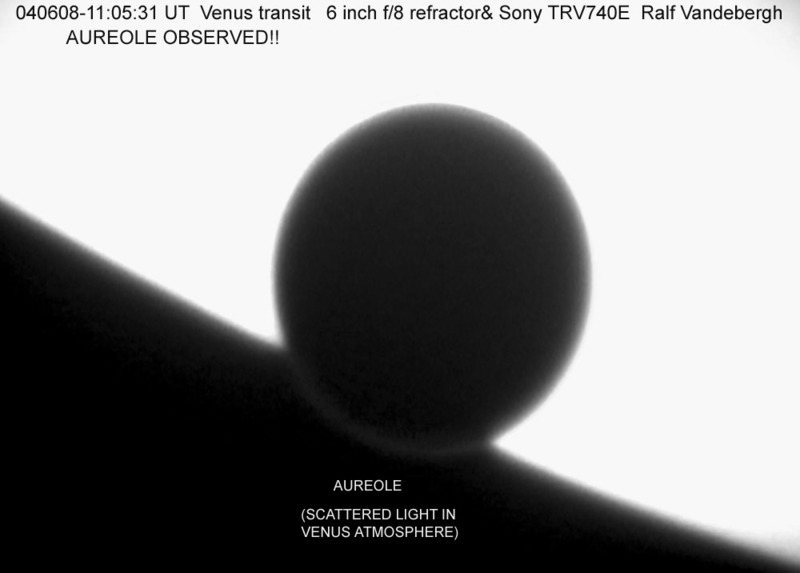 This remarkable effect is due to refraction in the upper layers of Venus' atmosphere that bends the transmitted sunlight in our direction. 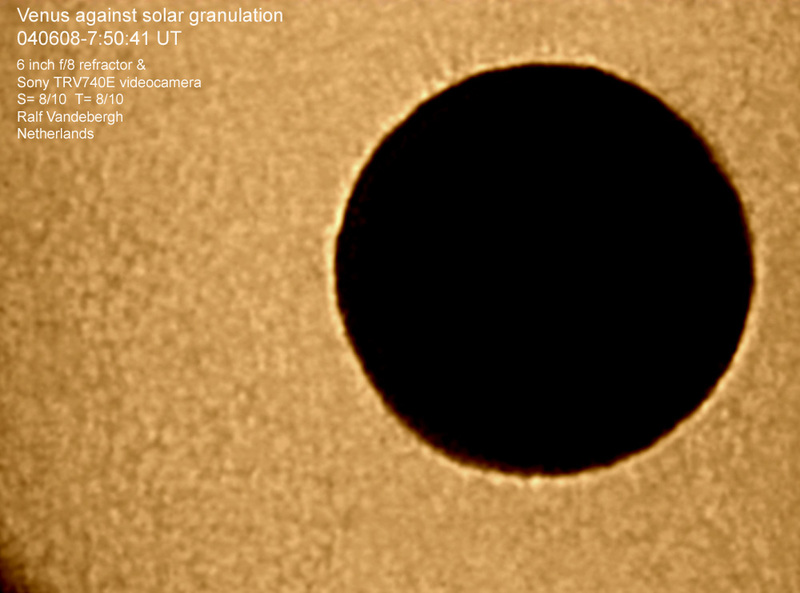 See also the DOT Egress movie] More information at this site.